This set of posts was inspired by a series of Facebook-facilitated conversations among musicologists following the 2016 U.S. presidential election. 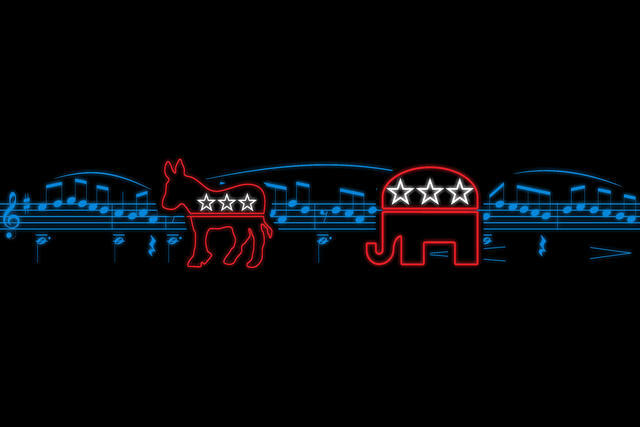 The contentious conversations circled around a difficult question: what (if any) musicological response was appropriate given the poisonous political discourse and pressing policy challenges of the post-election environment? Proposals for conferences, collected volumes, and direct political action joined calls for more civically and politically engaged teaching. Following those calls, the editors of Musicology Now invited five teachers to reflect on the challenges and opportunities of teaching under Trump. While the five posts in this series differ substantially, they also resound with shared concerns: how to teach empathy without falling prey to false equivalency; how to educate whole students to become citizen-musicians; how to present content and arguments that we might detest or fear; how our personal responsibilities as teachers have shifted in the post-election context, and how they have remained constant. We hope that the blend of practical pedagogical advice and philosophical reflection in this series stimulates continued conversation around the needs - both changing and constant - of students and teachers in our time. If you’re interested in seeing or contributing more ideas for connecting what we’re already teaching to current events, please visit this editable Google doc. All ideas collected here will eventually be archived at the AMS Pedagogy Study Group’s website, www.teachingmusichistory.com. Looking over the series so far, I'm wondering whether your mentors Anne Shreffler and Sindhu Revuluri will be contributing, or, in fact, anyone who isn't a white man.